To succeed in today’s competitive business world, the ability to make the right decisions at the right time based on water-tight insights is essential. If you don’t have the vision or don’t know what to do with it, you’ll find yourself shooting in the dark – and that is detrimental to the growth and evolution of any business, regardless of size or sector. Studies suggest that businesses that adopt a data driven marketing strategy are six times more likely to gain an edge over the competition and in turn, increase profitability. That said, if you’re looking to evolve your empire, increase brand awareness, and boost your bottom line, embracing business performance dashboards and big data should be at the top of your priority list. Still unsure? Not to worry – we’ll not only explain the link between big data and business performance but also explore real-life examples of these kinds of dashboards. Exclusive Bonus Content: Stay on top of your business performance! Download our pocket-sized summary and improve your operations! In today’s information-rich age, there is a tangible link between data and business performance. By harnessing the insights, information, and metrics that are most valuable to key aspects of your business and understanding how to take meaningful actions from your data, you will ensure your business remains robust, resilient, and competitive. All areas of your modern day business – from supply chain success to improved customer service reports and communications, interdepartmental collaboration, and general organization innovation – can benefit significantly from the use of data and analytics. 89% of business innovators believe that that big data analytics will revolutionize business operations in the same way as the World Wide Web. Moreover, by the end of 2019, experts predict that 90% of companies will recruit a chief data officer to help enhance their ongoing business performance. It’s clear that big data, if used to its full potential, has the power to improve your organization’s operations and initiatives exponentially, and this kind of dashboard is pivotal to squeezing every last drop of value from the data before you. 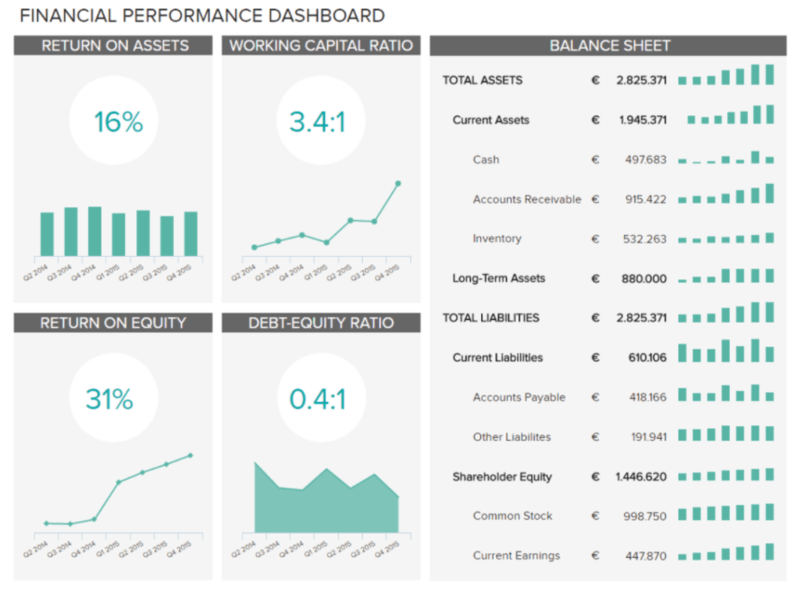 This brings us onto our next subject: what is a business performance dashboard? A performance dashboard is a data visualization tool that offers a wealth of knowledge on invaluable insights, enabling the user to gain a deeper understanding of their business’s performance in a number of areas while making valuable decisions that foster growth. 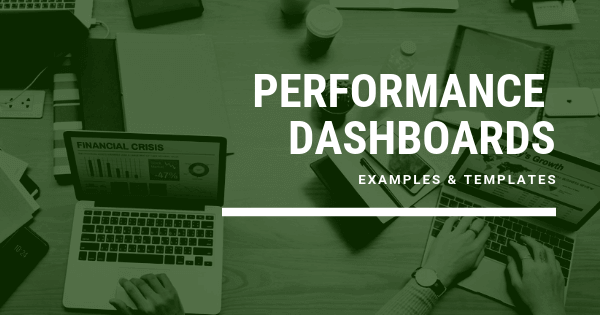 A product performance dashboard offers a wide range of information in one central location, allowing organizations to drill down into important product metrics and key performance indicators (KPIs) without the need to log in to separate tools or platforms. It helps to easily spot the overall performance of product lines and adjust the quality, development of new products, and evaluating existing ones. Business performance dashboards assist in the cohesive rather than fragmented analysis of critical datasets, which ultimately results in sustainable commercial success in a competitive digital landscape. The vast majority of business dashboards offer a customizable interface, a host of interactive features, and empower the user to extract real-time data from a broad spectrum of sources. This level of functionality presents a significant advantage over static dashboards, making business performance dashboards a key component to improved business intelligence (BI). Now that we’ve answered the question – what is a performance dashboard? – it’s time to explore the major benefits of using these kinds of intuitive, interactive data analysis tools and platforms. Instant insights: Rather than having to wait days, weeks, or months for data reports, modern dashboards offer access to critical data-driven insights almost instantly. Moreover, a dashboard of this kind also provides a panoramic view of real-time information, allowing key stakeholders within the business to make swift decisions that will ultimately save time and money. Increased efficiency: By gaining access to detailed sets of visually digestible information from one central location, you’ll be able to make more informed decisions on a regular basis. Over time, this will result in an overall improvement to your business’s efficiency in the areas that matter most. Progress: By setting KPIs that align with your business’s goals, aims, and aspirations, you’ll be able to evaluate your progress accurately and understand whether you’re meeting important milestones. And if you’re not, your dashboard will offer a wealth of insight into ways to make improvements that will help you do so. Another notable benefit of business performance dashboards is their self-service analytics nature. Accessible, intuitive, and easy to navigate, it’s possible to use these invaluable online BI tools to their fullest potential without the need to rely on developers or technical staff. To put this notion into living, breathing perspective, here are performance dashboard examples for your browsing pleasure. Focusing on sales growth and profitability, this sales dashboard provides a panoramic overview of the sales department’s progress by drilling down deep into elements such as sales targets, ARPU (Average Revenue per Unit), CAC (Customer Acquisition Cost), and CLV (Customer Lifetime Value). One of our most valuable performance dashboard templates, this is essentially a one-stop-shop for the sales insights that will help you iron out inefficiencies, enhance the performance of your sales team, and boost your profitability on a sustainable basis. The goal here is to increase Customer Lifetime Value and Average Revenue per Unit or user/account while driving down acquisition costs – and the metrics served up here will help you meet these goals and maintain them over time. 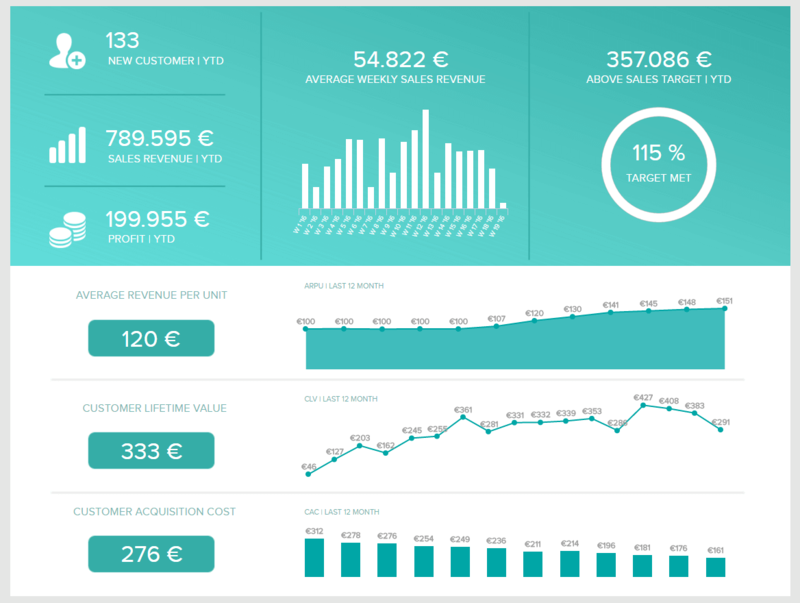 For more information on these business performance dashboard examples, explore our full range of sales dashboards. One of our pivotal marketing performance template examples, this dashboard has proved to be the beating heart of many a successful organizations. Offering a comprehensive level of insight into critical marketing performance data across a multitude of marketing channels and campaigns, the marketing dashboard will help you to create detailed marketing reports, and enjoy a maximum ROI for every one of your business’s promotional efforts. By delving into vital KPIs, including click-through rates, cost-per-click, and cost-per-acquisition, this priceless data dashboard will give you a greater understanding of the costs of your marketing efforts in comparison to your actual costs. Plus, metrics like click-through-rate will also help you gauge how engaging or effective specific marketing initiatives are, allowing you to make the tweaks necessary for optimal promotional success. For more information on these business performance template examples, explore our full range of marketing dashboards. The finance department of any organization, regardless of industry or sector, is vital to sustainable success and economic fluidity. This financial report example offers a robust snapshot of your company’s capital structure in addition to how your existing assets are being managed. This essential product performance dashboard template closely monitors the two ratios (return on assets and return on equity) that will ensure you maintain control of your organization’s financial health on a continual basis, which, in turn, will not only help the business thrive but also give it the ability to deal with unexpected roadblocks or issues in a professional, productive manner. For more information on our financial dashboard examples, explore our full range of financial dashboards. It goes without saying (almost): your employees are the very people that make your organization tick, which means monitoring performance in this area is critical to your ongoing commercial success. And this most valuable of business performance dashboard templates will help you manage your staff the right way. Our HR dashboard example, concentrated on employee performance, offers a host of information into key areas including attendance, productivity, overtime, and training costs. By gaining a deeper level of insight into these aspects of your employee’s performance, you will be able to spot trends, identify inefficiencies, and increase engagement where it might floundering. With this online dashboard, you will gain the power to motivate and inspire your employees, provide training support in the right areas of the business, boost morale, drive down operational costs, and make strategic choices that will benefit both you and the people working within your organization. For more information on our employee performance, explore our full range of HR dashboard examples. Data provides the vision that has the potential help your business to become more robust, agile, and efficient, and business performance dashboards provide the brain and eyes that will ultimately allow you to process, analyze, and extract the value of that data in a real-world context. In today’s hyper-connected business world, that is priceless. 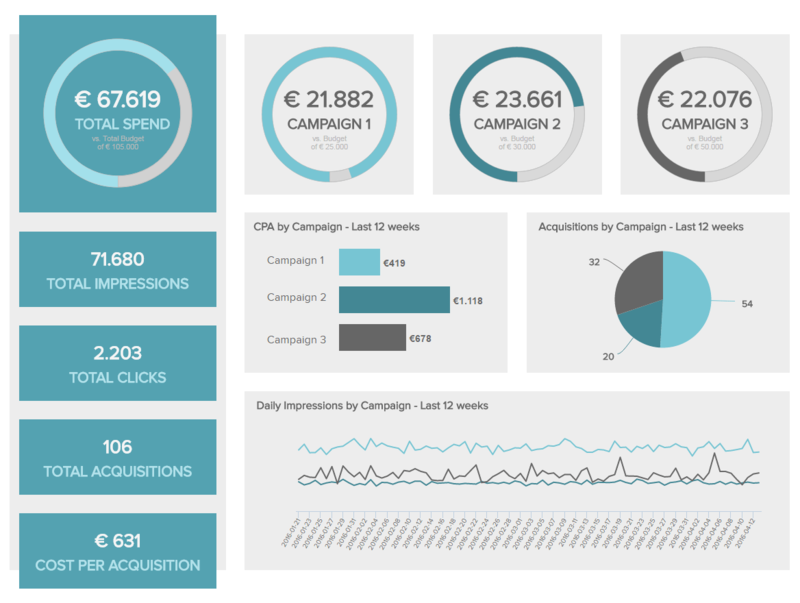 Embrace the power of BI dashboards today, and you’ll reap endless rewards tomorrow. For more insight into using business performance templates and BI to your advantage and starting your journey toward data enlightenment, explore our software for a free, 14-day trial!